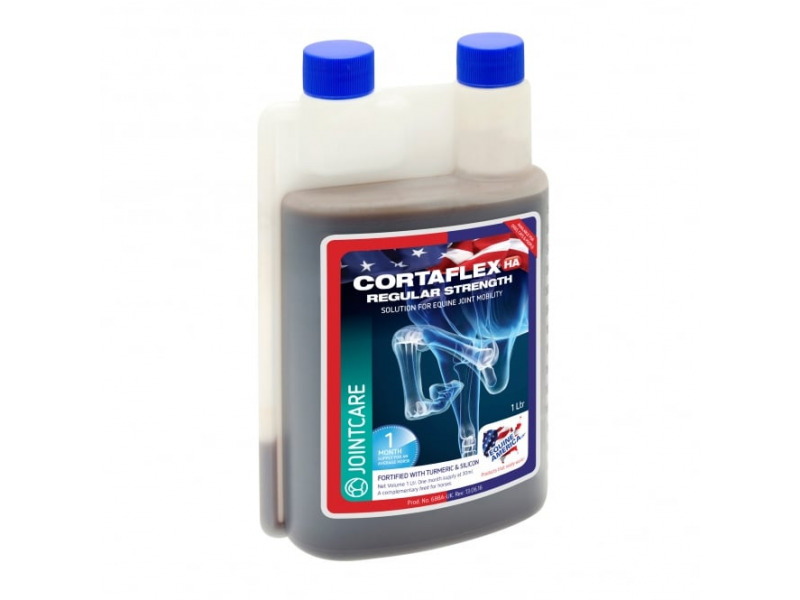 Equine America Cortaflex range has been pioneered by equine experts to offer a solution to joint degeneration, damage and ageing. 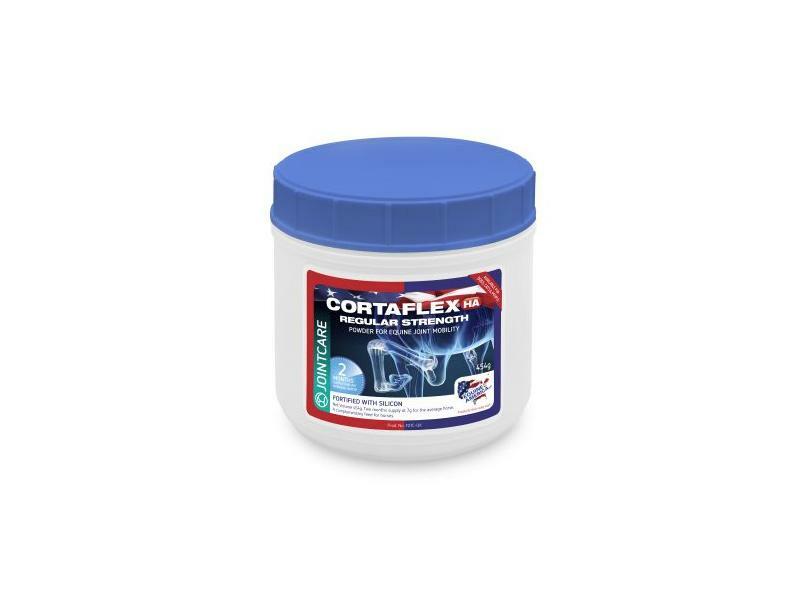 The fortified daily supplement, available in liquid or powder form, can be used to protect joints from everyday wear and tear, either through competing or daily hacking. The 946ml bottle is used by squeezing the bottle to fill up the measuring section, which makes pouring out the correct amount easy. For an easy way to get the correct feed amount out of 3.8 and 4 litre bottles, see the Equine America Bottle Pump. For an average 500 kg horse, feed 14 grams daily for 10 days with the horse's regular feed. Thereafter, feed 7 grams daily for maintenance. Feed others according to body weight, less for smaller horses and ponies, more for larger breeds. Wear and tear to the joints is a normal function and will occur naturally with age, but our domestication of the horse has increased the stresses on the joints, resulting in lameness. Constant pounding on artificial, hard or heavy ground is very demanding on joints – even hacking can cause abnormal wear and tear, metal shoes increase concussion and confinements of stables increases pressure. Feeding a proven joint supplement can help to redress the balance and support healthy joints. 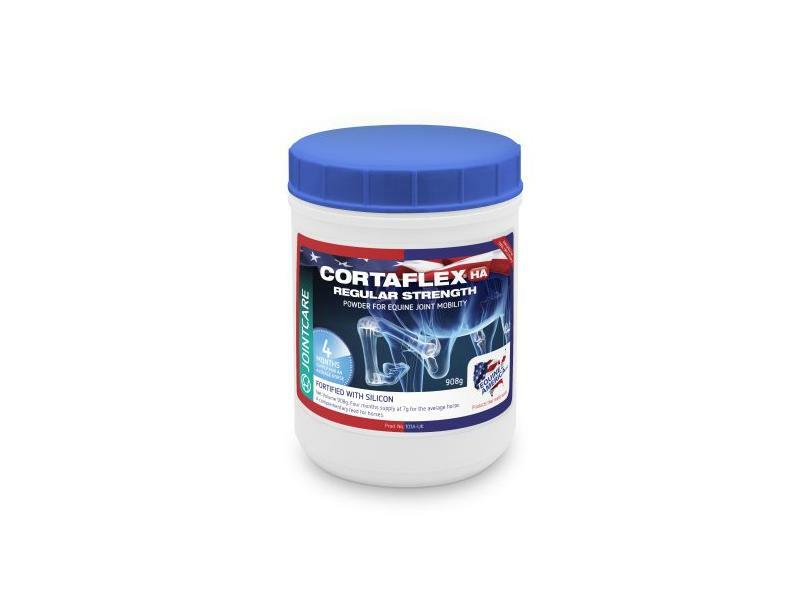 Below are some recent questions we've received regarding Equine America Cortaflex HA Regular Strength Solution for Horses, including answers from our team. Is this suitable for horses with Equine Metabolic Syndrome please. Yes, this supplement is fine for a horse with EMS. Often supplements like this do have a sugar base to make the supplement palatable. However the daily dose is such a small amount compared to the total food intake that its effect would be negligible. Do you still need to use with oil? 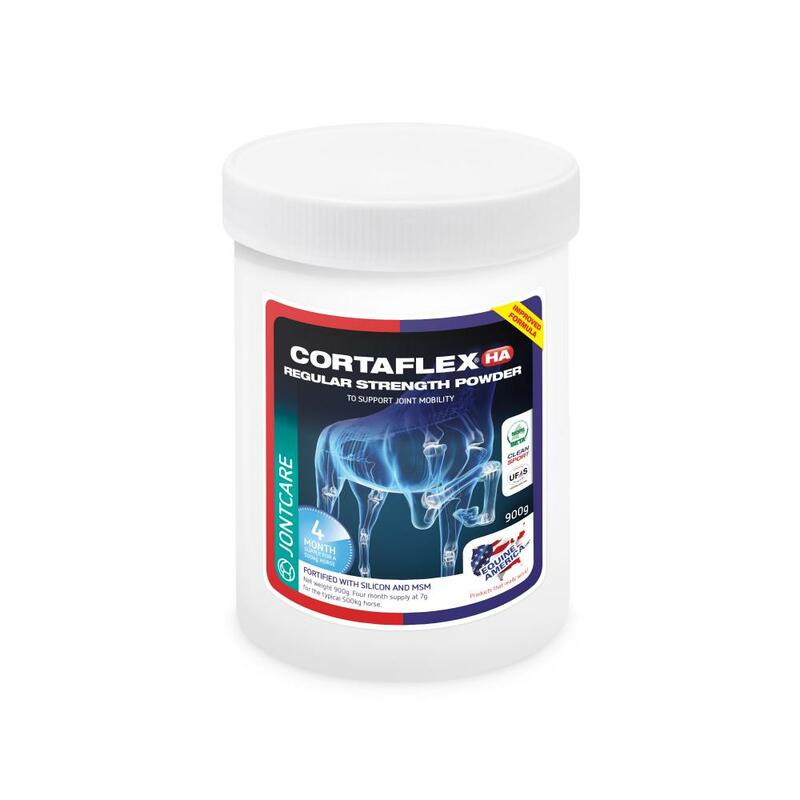 Before ordering Cortaflex I was looking into feeding my horse turmeric and read that it needs to be fed with oil to make it effective. 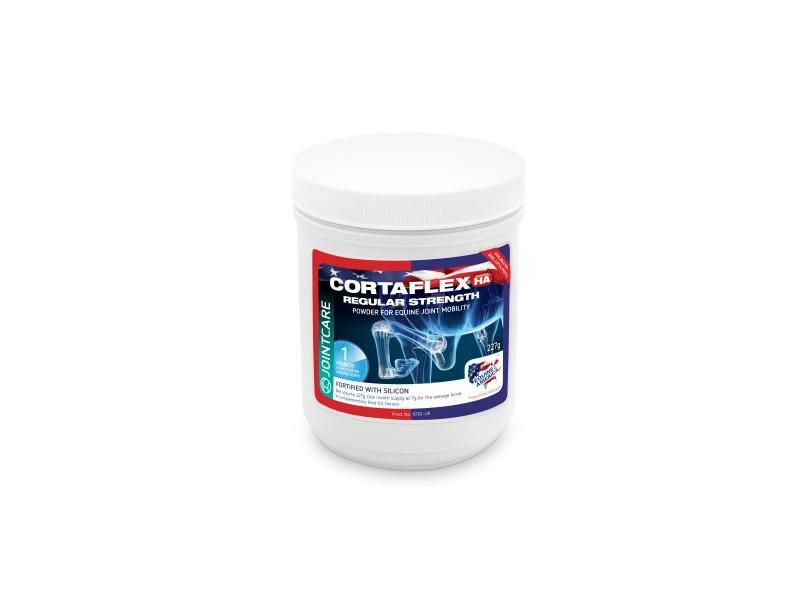 Is it the same for Cortaflex or can it be used by itself? 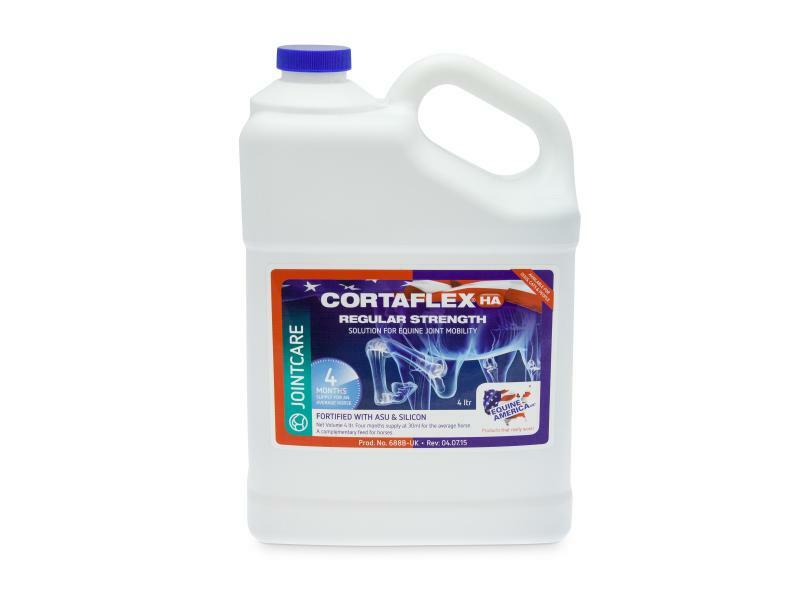 Cortaflex is effective used on its own. The only thing I would suggest is if you are feeding the powder form then dampen the feed before you put it in so that the powder sticks to the feed and is eaten by your horse rather than it falling to the bottom of the feed bowl if left dry. my horse has arthritis in the pastern.Would this be helpful to regain movement.He is at present lame and has 2danilon a day.. This is one of the many nutritional supplements marketed to help with joint problems in horses. None of them have very good, independent scientific evidence of providing significant benefit, though many people are convinced that they are very effective for their own animals. You will only find out by trying it for a while and seeing if it works for your horse. It should be completely safe to try this, but I would continue with the Danilon for a while. If in future things are going veery well, it might be possible to tail the Danilon off, though that cannot be guaranteed. Can the Equine Liquid be used for Dogs? Hi I have been trying the dog version veterinary strength on my 5 dogs and it seems to be making a difference. The dog version is almost £60 a month so quite an expense. Is there any reason i cannot use the Equine liquid version at a 5ml dose for my dogs as it comes in bigger amounts at a better price. The two versions have the same additives but in different amounts and some other ingredients are different. I am not sure how well dogs can deal with the equine version. It might in fact be safe and reasonably effective but it would be better to use the canine version.